Let your imagination run free as you find ways to expand your culinary skills by using these pecan pieces in your recipes. They're the perfect size for adding to cake, cookie and bread recipes. Beyond that, they can add the ideal amount of nutty flavor to a fresh green salad or bring a subtle hint of earthiness to vegetable dishes. Perfect size pieces for baking! These are great, and allowed on Paleo diet. I put some in my cranberry sauce, nice touch! I got so tired of my local grocer running out of pecan pieces so I decided to try NutStop. Nutstop pecans are fresher, less “dust”, and are the same price per pound (including shipping) as the local. This is my second order and I highly recommend Nutstop for your pecan pieces. Made a delicious pecan pie…..very convenient as I didn’t have to use a nut chopper. Also plan to use them in my Applesauce Spice cake. Great packaging and price. Once again Nutstop.com delivers the goods! The pecan pieces are exceptional and give my commercial snack food @seedynutty.com the freshest of fresh taste. My customers always say yum, and the pecans are one reason why! Have been avoiding buying pecans for cooking and granola because they are so expensive in the grocery store. This price is much better. They are a perfect size pieces for using in my granola and crisps. The taste and freshness of these is excellent. Order these quite often for myself, my family and my birds as we all like them on cereal, salads, in nut mix and straight from the bag. Great addition to whole grain hot breakfast cereals. Buy these almost every time I order. 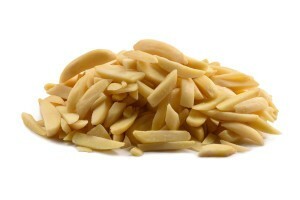 I order 20lb case and am never disappointed with the freshness of my SeedyNutty.com snack products. 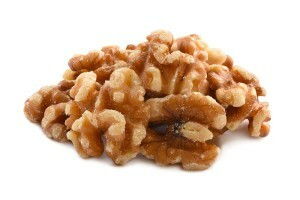 My snack food company – SeedyNutty.com – depends on fresh pecans for its bark like seedy nutty snack. Nutstop never disappoints me. These are very tasty, add them to my whole grain cereal for an even “nuttier” taste. Order them two bags at a time!